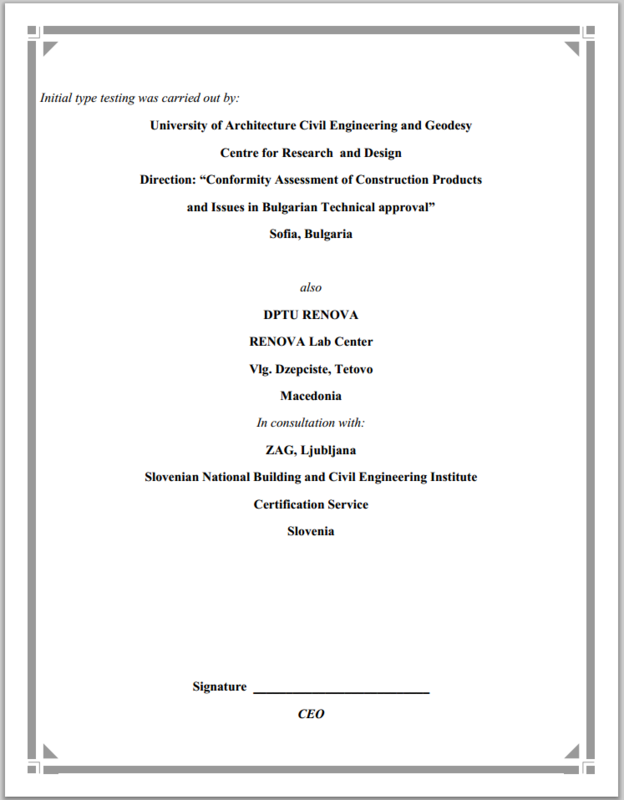 To satisfy the customer’s demands completely and totally is a condition of the past, present and future successful work of RENOVA. The quality is planned for and secured on all levels and all functions and examined regularly in connection to the final aim -satisfying the customer’s needs always as priority. In order costumers of RENOFIX product to be more secure, and we as manufacturer of these product,we use modern methods during final production control which are in accordance with EN norm’s in construction. 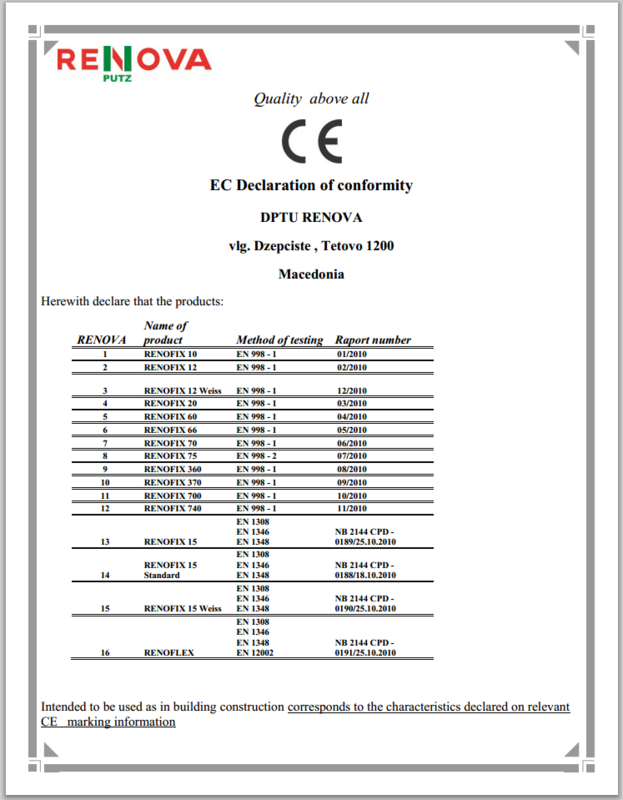 CE mark is a guaranty for controlled product under strictly defined standards. 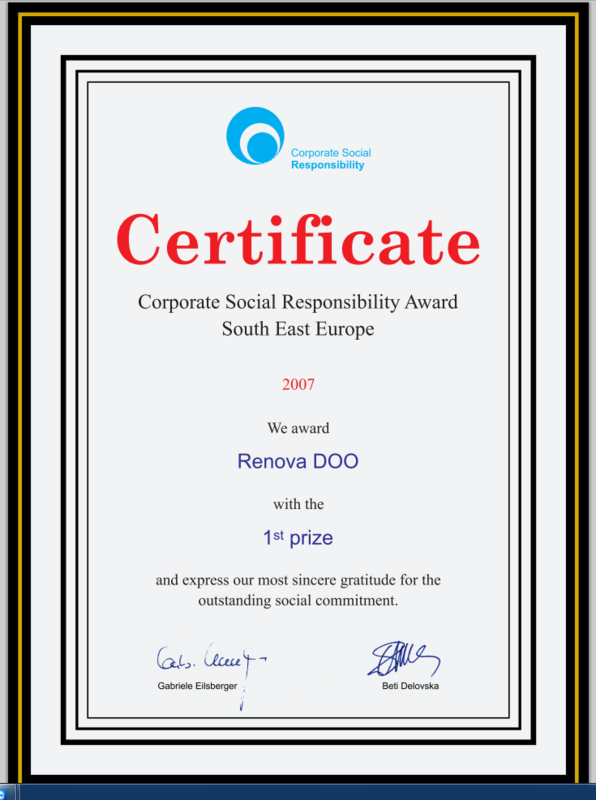 Prevention and elimination of mistakes is a way of work for RENOVA which enables the factory to promote itself on the market competitively,increasing the cudtomer’s, share holder’s and society’s satisfaction. 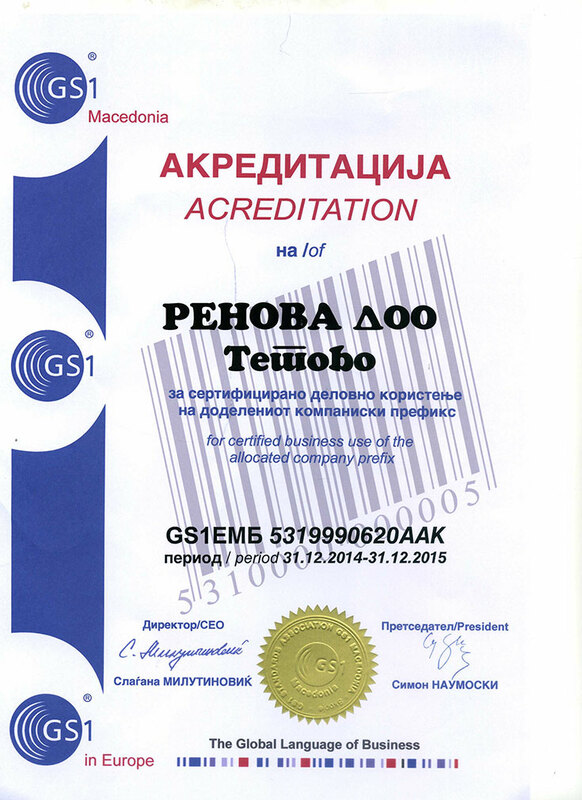 Continuously improve its work, its system of quality, the complete quality management; successfully turning the market demans into recognizable and appreciated products. 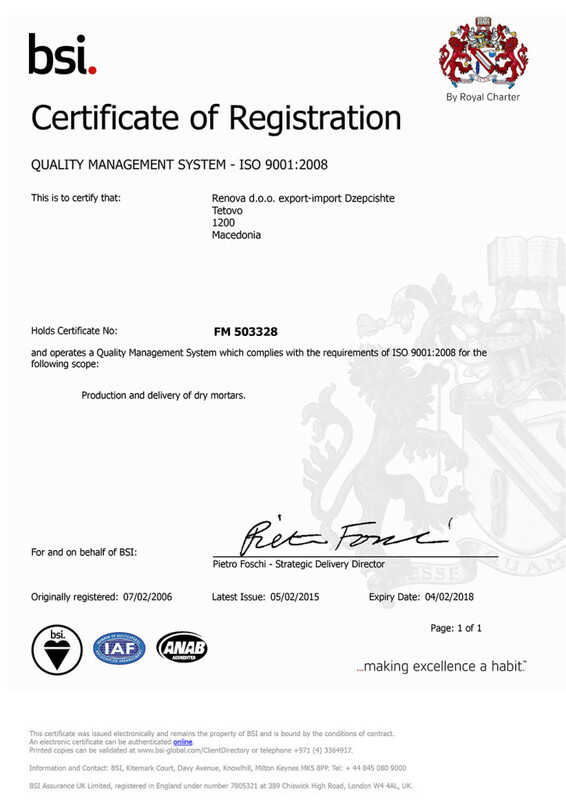 Continuously improve the complete quality management fulfilling the ISO 9001:2008 requirements, and in the same time the customer’s demands Managing the quality means successful management of all the segments of the factory, improving the working conditions, equipment and the skills of the employees especially taking into consideration the protection of the environment.